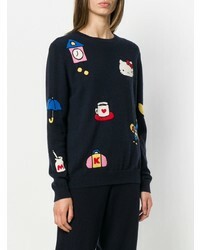 If you're in search of a casual yet totally stylish outfit, wear a Chinti & Parker cashmere hello kitty patch sweater from farfetch.com and a white pleated midi skirt. Both items are totally comfy and will look fabulous together. 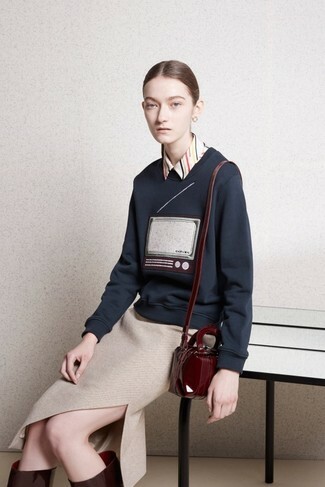 For something more on the daring side to round off this outfit, throw in a pair of white leather low top sneakers. 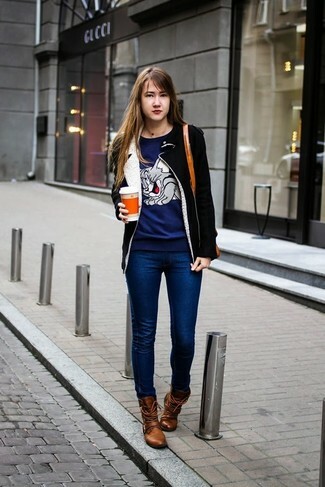 If you're scouting for a casual yet chic ensemble, make a navy print crew-neck sweater and navy skinny jeans your outfit choice. Both pieces are totally comfy and will look fabulous paired together. For shoes, opt for a pair of brown leather lace-up flat boots. 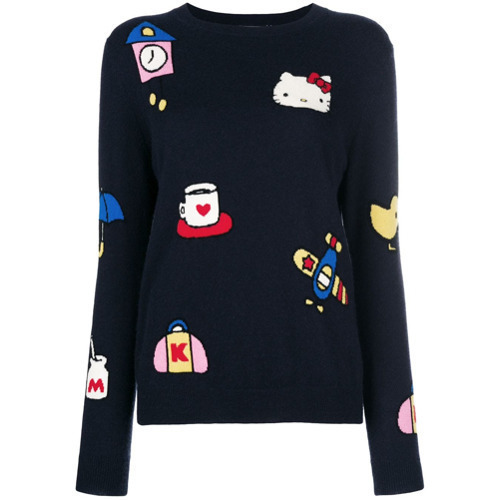 If you're a fan of comfort dressing when it comes to fashion, you'll love this chic pairing of a Chinti & Parker cashmere hello kitty patch sweater and a black lace skater skirt. Black leather ankle boots will instantly smarten up even the laziest of looks. This pairing of a navy print crew-neck sweater and a navy lace pencil skirt is clean, totally chic and so easy to imitate! Opt for a pair of black leather pumps to take things up a notch. If you're on a mission for a casual yet absolutely chic getup, wear a Chinti & Parker cashmere hello kitty patch sweater and a beige knit pencil skirt. Both garments are totally comfy and will look fabulous paired together. When it comes to shoes, this ensemble pairs wonderfully with burgundy leather knee high boots. 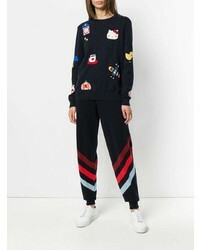 If you're on the lookout for a casual yet totally stylish getup, wear a Chinti & Parker cashmere hello kitty patch sweater with navy plaid skinny pants. Both pieces are totally comfy and will look fabulous together. When it comes to footwear, this ensemble is complemented wonderfully with black leather ballerina shoes. 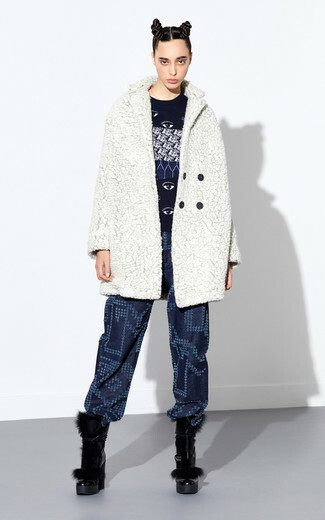 We're all getuping for comfort when it comes to dressing up, and this combination of a navy print crew-neck sweater and navy pajama pants is a good illustration of that. Take a classic approach with the footwear and make black leather ankle boots your footwear choice. 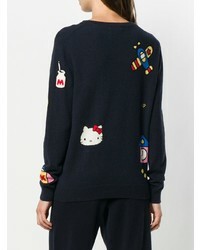 If you're on the lookout for a casual yet absolutely chic ensemble, rock a Chinti & Parker cashmere hello kitty patch sweater with a black leather button skirt. Both garments are totally comfy and will look fabulous together.